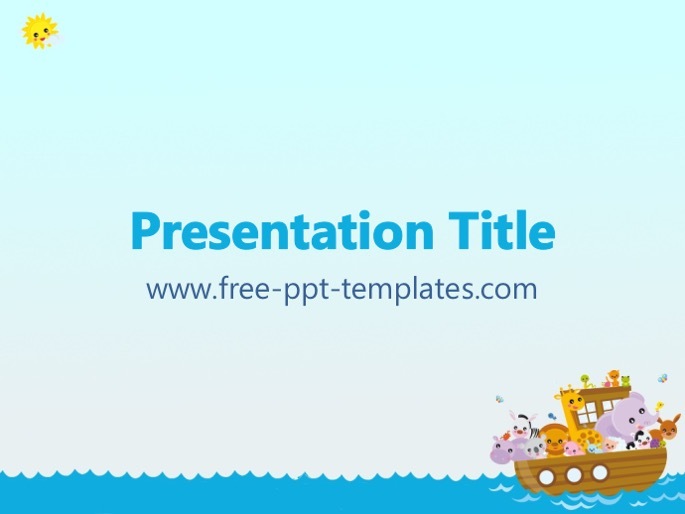 PPT TEMPLATE DESCRIPTION: The free Noah's Ark PowerPoint Template is a blue template with a background image of a ark full of different animals. You can use this Religion PowerPoint template to prepare an elegant and professional PPT presentation on Noah's Ark as well as animals and some topics for kids. This FREE PowerPoint template is perfect for educational presentations that will be presented at various places to kids by teachers and other presenters. These slide designs are very easy to use, there are various slide layouts that will help you to create an amazing presentation about Noah's ark. There is also a free Jungle PowerPoint template that maybe can be the best solution as a background for your PowerPoint presentation. You also can look for more similar backgrounds in Animals category. All templates on this website are compatible with the latest Microsoft PowerPoint, but you can also use them with some other free office programs that support this type of file.